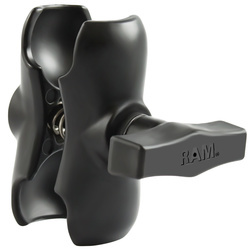 The RAM-103U-B consists of the 1.5" diameter ball and socket system with one open socket end. 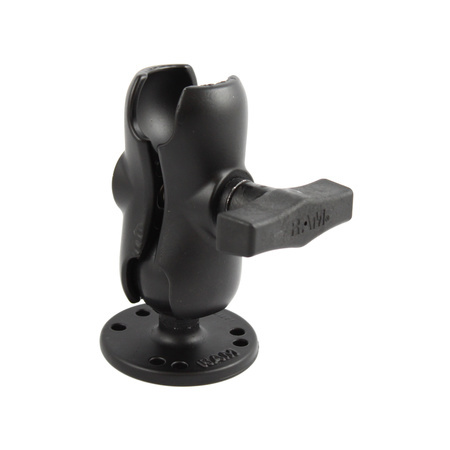 This mount is designed to be used with any of the RAM mounting bases or cradles with a 1.5" diameter rubber ball. 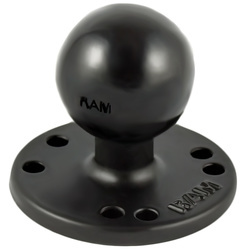 The RAM-202U round base has a 1.5" diameter rubber ball connected at right angles to a 2.5" diameter base. The plate has pre-drilled holes in the base, including the universal AMPS hole pattern.